Hope Fest, an event created in aid of Liverpool’s homeless is all set for its second year. Getintothis’ Tom Konstantynowicz has more about exactly what’s going down across 15 venues in the city. When people are experiencing adversity you can count on the city of Liverpool to stand up and be counted. Hope Fest is a multi-venue music event which has the sole aim of helping the city’s homeless. A full weekend wristband can be purchased using a ‘Hope Pack’ as currency – at least five items from a list of essentials that can be put to direct use by those in need. Packs will then be distributed by festival partners Big Issue North, The Whitechapel Centre and The Basement Advisory Centre. An extensive list of stellar acts have been announced for the festival, taking place on September 18-20, including Miles Hunt and Erica Nockalls from The Wonder Stuff – perhaps best known for their collaboration with Vic Reeves on Dizzy in ’91. 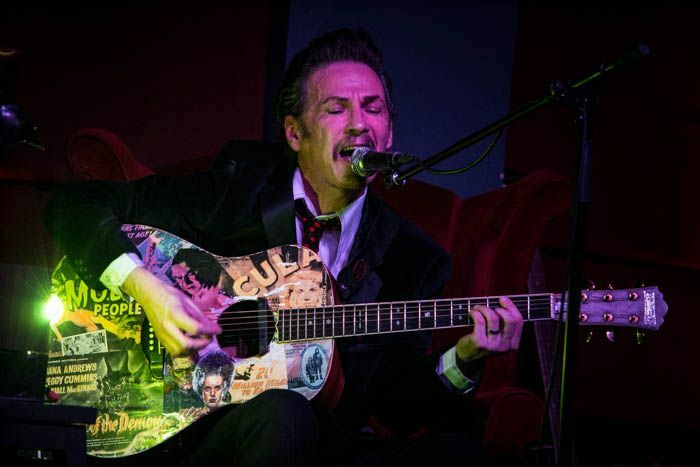 Tommy Scott of iconic scousers Space will also provide a solo acoustic set at District. Psychedelic Skeleton Key lot The Sundowners will be playing a stripped back set in The Magnet following a busy festival season and the man who has been described as ‘the British Eminem’ – poet Matt Abbott, aka the singer-songwriter Skint and Demoralised – will host the Arts Club stage which plays host to Sky Valley Mistress and Alias Kid, amongst others. Other highlights during the weekend are sure to include Antidotes – a band we featured earlier in the year prior to their triumphant Liverpool Calling set, The Jackobins, Go Fiasco, Stephen Langstaff and Sophie Anderson. To check out more of the acts, jut scroll down to our extensive Spotify playlist. For more information including full listings and how you can help, click here.